Obrador “open” to allowing international organizations in to Mexico to help investigate cases of corruption and human rights abuses. 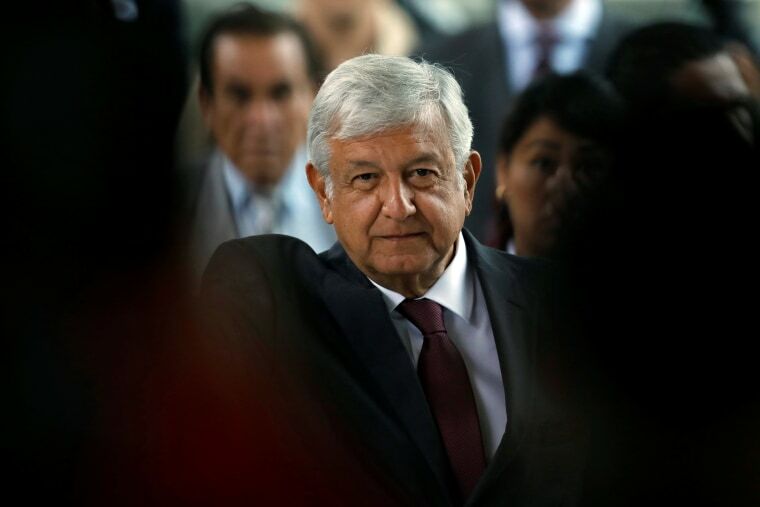 MEXICO CITY - Mexican presidential frontrunner Andrés Manuel López Obrador on Tuesday said he was willing to enlist international organizations to help fight drug violence and corruption, countering critics who have said the nationalist candidate might resist working with foreign bodies. The leftist former mayor of Mexico City, López Obrador has become voters’ firm favorite ahead of the July 1 election, vowing to lower violence, attack decades of political graft and focus attention on the poor. AMLO, as the candidate is known, promises to demilitarize the battle against the country’s criminal organizations and has even explored a divisive, albeit vague, proposal for a criminal amnesty so that gangsters curb the violence. “We’ll invite Pope Francis, the Secretary-General of the United Nations, Antonio Guterres, representatives of international organizations ... so that, with local experts, and with the victims and families of the victims, we elaborate a joint plan to attain peace in this country,” López Obrador said at an event with non-governmental organizations. López Obrador has been dismissive of civil society organizations during the campaign, and his comments may help ease fears that he would seek to curtail their growing influence or clamp down on foreign nongovernmental organizations. The 64-year-old added that he is willing to establish a truth commission to bring closure to tens of thousands of people exposed to horrific murders and disappearances of their friends and family. Additionally, he said he was “open” to allowing international organizations in to Mexico to help investigate cases of corruption and human rights abuses. Although he did not refer to it by name, López Obrador said that if he wins he would be willing to allow the creation of a body, akin to the U.S.-backed CICIG in Guatemala, which helps local prosecutors build graft cases. Unlike in the rest of Latin America, where the corruption scandal involving Brazilian builder Odebrecht has toppled presidents, Mexico’s current government has been dragging its feet over investigating the company’s alleged illicit links with high-profile figures close to President Enrique Peña Nieto. Ricardo Anaya, the second-place presidential candidate who leads a left-right alliance, was also at the event, and agreed with López Obrador on the need for allowing international experts to help design ways to end impunity, and also establish a truth commission.